Congratulations are pouring in for Oxford Health NHS Foundation Trust and University of Oxford – praised as leaders in their field by the Royal College of Psychiatrists. The Trust and the University are partners in the newly established NIHR Oxford Health BRC. The accolades, heralded as the Oscars of the psychiatry profession, were awarded at RC Psych’s annual awards event in London on 6 November 2017. Psychiatric Team of the Year: Older-age Adults: Older Adult Community Mental Health Team South Oxfordshire, Oxford Health Foundation Trust. 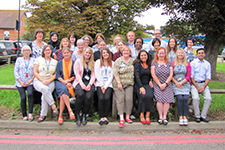 This multi-disciplinary, enthusiastic and dedicated Community Mental Health Team assesses and treats patients over 65 years (or younger if they suffer with cognitive problems) with complex mental health problems, wherever they are in the community. They also provide a Memory Clinic pathway which provides assessments of cognitive functioning, treatment and support options as appropriate. Psychiatric Team of the Year, Outstanding Commitment to sustainable service development: The emergency department psychiatry service in Oxfordshire for its Technology Assisted Psychiatry (TAP) project. The Emergency Department Psychiatric Service at Oxford Health NHS FT provides assessment and brief follow-up to patients (over 12yrs) presenting with mental health issues to the Emergency Departments in Oxfordshire. The team, led by Charlotte Ball and consultants Kezia Lange and Kathleen Kelly, supports the work of the University of Oxford Centre for Suicide Research and has an interest in using technology to improve patient care. The TAP project is just one of the ways Oxford Health is spearheading the use of technology in in care as a NHS Global Digital Exemplar. We’re delighted. Thanks to the team and colleagues at the Horton Hospital in Banbury for taking on this idea, putting it into practice and making it part of care now. There’s such an opportunity to use technology like TAP which is going to revolutionise care for patients by improving access to care for patients. 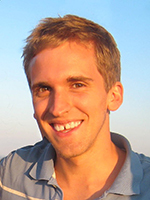 Medical Student of the Year: Maxime Taquet, University of Oxford. Maxime Taquet is a graduate-entry medical student with the University of Oxford, who has been based at the Whiteleaf Centre in Aylesbury, and is passionate about digital psychiatry. Maxime has developed an app to monitor neuropsychiatric variables such as mood, attention and sleep which has been used by over 60,000 people. He recently published the first findings from this big data initiative in the Proceedings of the National Academy of Sciences. I am delighted to have received this award. From my perspective, it seems psychiatry is taking an interesting turn by taking up advances in genetics, neurosciences and digital technologies. Oxford Health plays a key role in this and it will ultimately improve the prognosis for patients. Psychiatry is one of the most exciting fields of medicine to enter and it is thrilling to be part of this movement as a budding psychiatrist. Professor Belinda Lennox, who leads the Early Intervention in Psychosis Service in Oxford, and is based at the University of Oxford Department of Psychiatry, was shortlisted for the R N Jajoo Memorial Academic Researcher of the Year. The Royal College of Psychiatrists is the professional medical body responsible for supporting psychiatrists throughout their careers and setting and raising standards of psychiatry in the United Kingdom. Congratulations to all the winners – we’re all incredibly proud of their achievement. To receive three awards from the Royal College of Psychiatry is outstanding. These awards recognise that these are people working at the forefront of their profession, tailoring services to the changing needs of our communities and nurturing the next generation of psychiatrists to provide care for local people. View the full list of winners in the RCPsych Awards 2017.